During the seizure of the Nativity of the Theotokos temple, women and the elderly were thrown out of it. It was watched by the DA head, local deputies and the police. In Baranovka, Zhitomir region, believers of the Ukrainian Orthodox Church are persecuted for their faith; children are harassed at school and their parents at work. 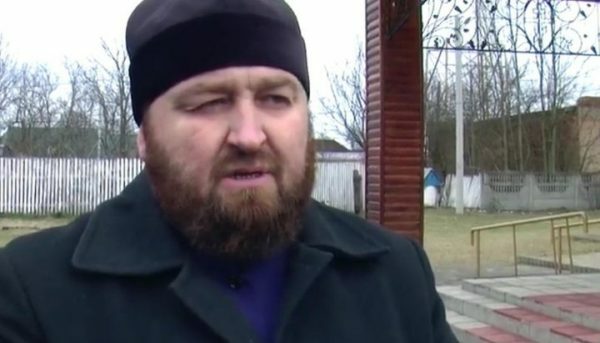 Attacks on the temple and parishioners during the prayer are watched approvingly by the government officials and police, according to the video story of the First Cossack channel. The rector of the Church of the Nativity of the Most Holy Mother of God, Archpriest Roman Klim, said that everything in the temple and around it was done by the hands of the parishioners, and those people who came there were strangers. According to the priest, they did not want to hear anything, but they came to the temple to break, beat and loot. Even a fountain for children in the church grounds was damaged. “They threw out of the temple women, elderly people through the improvised “shame corridor”… What country are we living in? And at the same time there were the head of the administration, the police. It’s very unnerving. At school, children are bullied. Young parishioners are threatened at work. The priest is blackmailed, too. This is the direct incitement of interfaith hostility. I am compelled to seek help from the whole world,” says Archpriest Roman Klim. Recall, on February 20, 2019, in the church of the Nativity of the Most Holy Mother of God, the city of Baranovka, Zhitomir region, hundreds of believers gathered for the prayer standing in defense of the canonical Church and its local head, the dean of Baranovka district, Archpriest Roman Klim. On March 10, a crowd of activists attacked the UOC temple in the city of Baranovka. The storming of the temple began with the so-called veche (town’s meeting – Ed. ), which Oleg Kovalsky, a deputy of the Radical Party led by Oleg Liashko, had convened in the central square of Baranovka. On March 12, 2019, the OCU activists made a second attempt to seize the temple. The rector of the church of the Nativity of the Most Holy Theotokos reported that the believers had filed an appeal to the law-enforcement authorities, since they feared provocations. However, the law enforcement officials argued that they did not have information about the upcoming attempted seizure. As the UOJ reported, on March 12, 2019, the deputies of the Baranovka city council voted in support of the “transition” of the local church of the Nativity of the Most Holy Theotokos to the OCU. After that, Oleg Kovalsky spoke to members of the territorial community and said that the parishioners of the canonical Church who were defending their own shrine were drug addicts. According to him, such characteristics of the UOC believers from Baranovka were allegedly given by the medical workers present at the raider seizure.